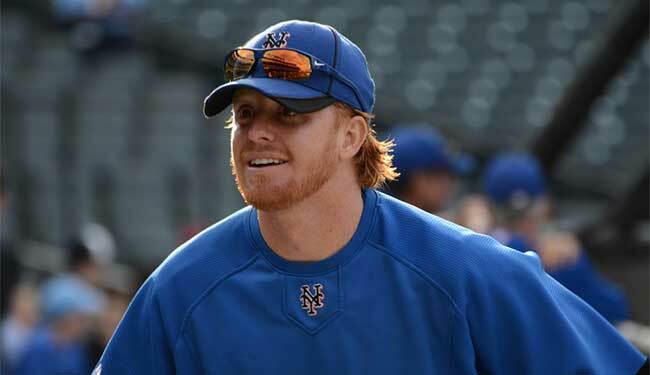 Report: Dodgers Sign Justin Turner. Finally. I feel like we’ve been talking about Justin Turner for so long — months, if we’re including the old MSTI — that the fact that news just came out that they have in fact signed him seems more anti-climactic than anything. This seemed pretty obvious a few days ago, when the Dodgers let loose that a signing of an infielder was imminent, that there was just about no one available, and that Turner and his wife have strong ties to the Los Angeles area. So a quick reminder in case you’re not already familiar with him: Turner turned 29 in November and has played in parts of five years in the bigs, almost entirely with the Mets after a brief debut in Baltimore. He’s a decent if unexciting hitter, with a career .260/.323/.361 line that’s good for a 93 wRC+, so just below average, and while he’s primarily a second baseman (88 starts), he’s also played third (50), short (21), and first (9). Unfortunately, he doesn’t rank as better than average at any of them. Still, on a minor league deal — which hasn’t been confirmed (update: has been confirmed), but seems like a safe bet — Turner seems like a perfectly adequate utility guy to throw into the mix. It’s not like you don’t know enough about the uncertainty at second base, so the more the merrier, and at the moment, the only other option to backup third base is Chone Figgins, so Turner will get his chance. Or he’ll play in Albuquerque. Whichever, really. At this point, getting a guy who might not kill you is all you can hope for. So, finally, welcome aboard, Justin. Previous Hyun Jin Ryu’s Impending Sophomore Slump?